I hope everyone had a wonderful Christmas and enjoyed the "observed" holiday yesterday as a day to relax and recoup! I spent the day shopping and spending some Christmas money. Lots of stores are having amazing sales! So if you're feeling brave, venture out today. Lately I've been a fan of mixing pattern with pattern. 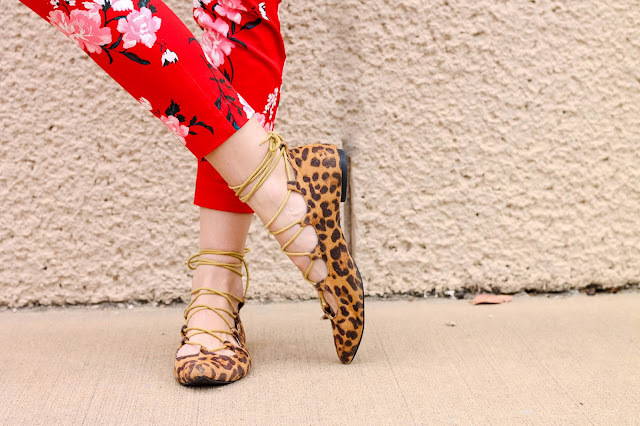 It's definitely bold but in such a fun way. 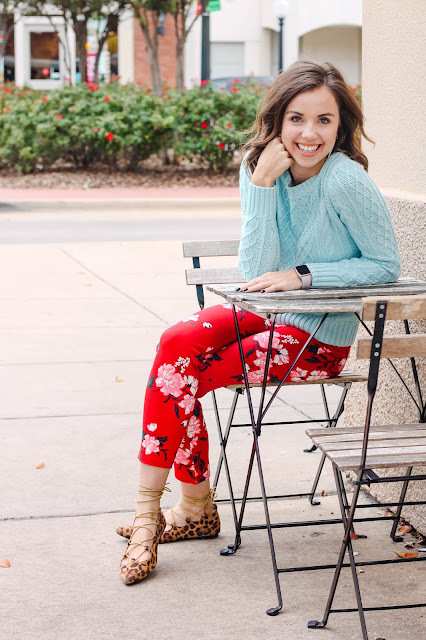 I am loving these pants with an adorable cable knit sweater!! They are the perfect pop of color for any fall or winter day. 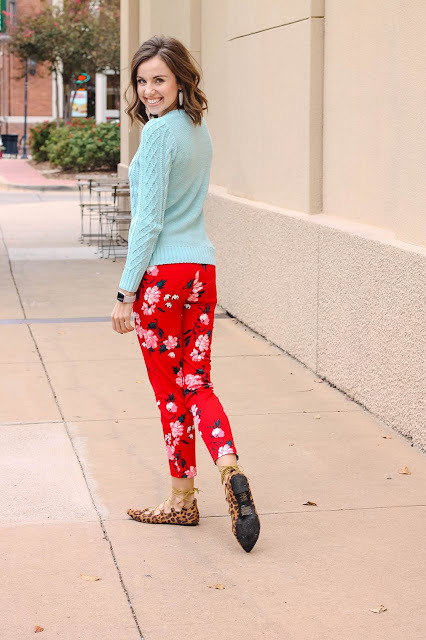 The Pixie pant from Old Navy is a staple! These pants are the perfect amount of stretch with tons of fun patterns! They fit mostly true to size. But they are very reasonably priced and work perfect for a day outfit, night or even work! 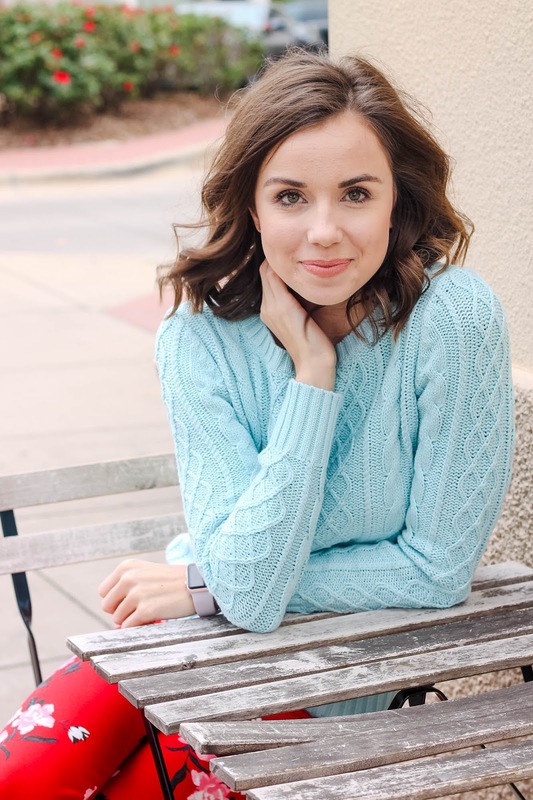 Cable knit sweaters can be a struggle, if you don't find good quality they feel very itchy on the skin and pill within wearing it a few times. Has anyone else experienced this? I'm sensitive when it comes to fabric. Cotton not wool is how I have to shop sweaters. I've actually found the Old Navy cable knit sweaters to wear really well, BUT some of them are cut weird which makes it difficult. This one in particular though was cut very true to size it's just not baggy. I definitely am more of a baggy look kind of girl but for this outfit the normal size sweater is better. 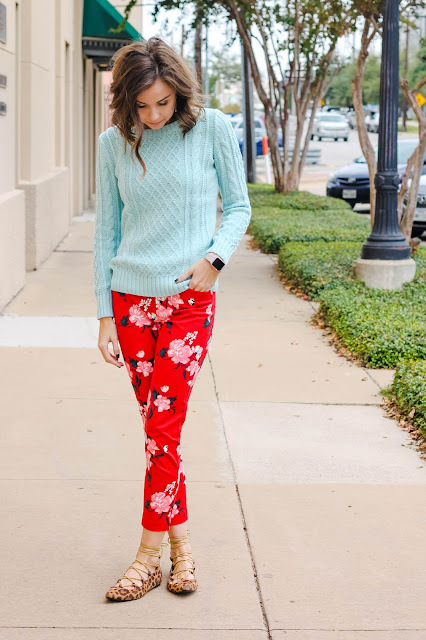 The sweaters work so well for everyday or with a chambray shirt underneath for work! I've linked up the pants and sweater but sizes are limited so forgive me. I shot this look like a month ago. 😕 But the principle of pattern mixing is still the same with similar style clothing!